Its time to eat! 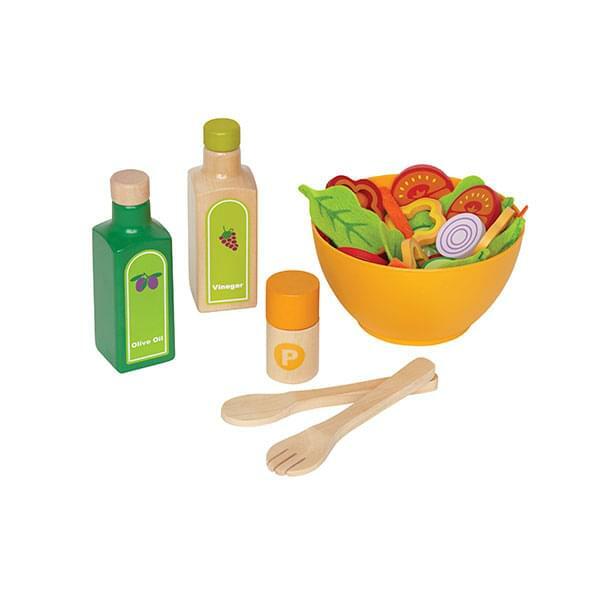 Allow your child to imagine up their own garden salad, with all of the fixings they need along with a bowl, tongs and dressings. Toss all of the ingredients together and your ready to serve! Bought this for my daughter, she loves it! If You Liked Hape Garden Salad, See More Related Products Below!